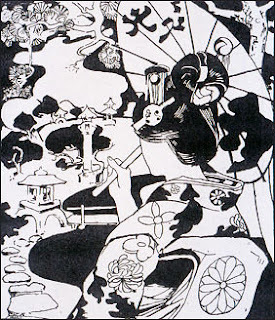 i have come across a number of painters of this era who are western, and who paint in a decidedly western style, but favor japanese subjects. 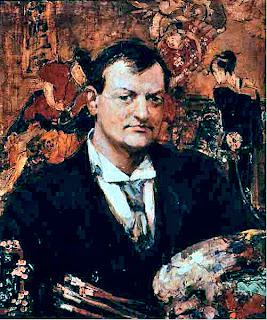 one of these is the scottish painter edward atkinson hornel. 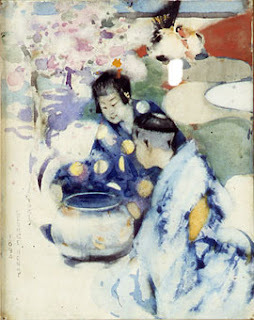 while some of his paintings and drawings take on the asymmetry of the japanese prints, in general his main influence was the beauty of what he saw in japan. an early subscriber to the infusion of japonisme, japan anyway, into literature was the man who called himself pierre loti. 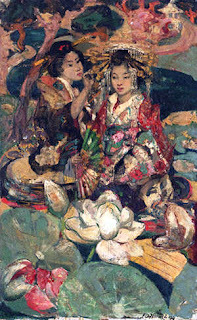 his 'madame chrysanthemum'3 is considered the first japonisme novel, a precursor to 'madame butterfly.' 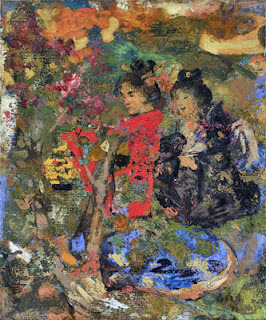 hornel created illustrations for it.